We are ten lessons into All About Spelling Level 1 and now I feel confident enough to write a review. I actually popped onto Facebook to share a peek inside, walk through a lesson, and discuss how All About Spelling Level 1 is multi-sensory. If it is easier to watch or something you are interested in seeing, you can do so here: All About Spelling Facebook Live. 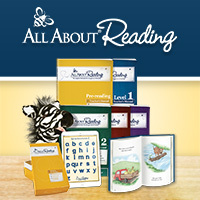 Holistic Homeschooler is an affiliate for All About Learning press for more information please read disclosure policy. All About Spelling Level 1 is similar to All About Reading in that it provides complete and comprehensive instructions using the Orton-Gillingham approach. The most significant aspect of the Orton-Gillingham method is that it is multisensory. As you work through All About Spelling Level 1 you will notice that it is not only multisensory but sequential, incremental, cumulative, individualized, phonogram-based, and explicit. 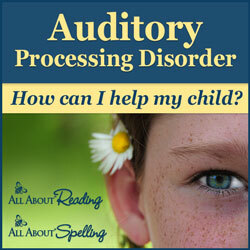 How does All About Spelling work to activate visual, auditory, and kinesthetic brain pathways? Phonogram and word flash cards are reviewed orally or dictated to your child. Your child will segment words, listening to words as they are spoken out loud. Even when my daughter is building her words she says what she is spelling aloud. Your child will observe as they build new words using color coded letter tiles. Notice that red tiles are associated with vowels and blue associated with consonants. Consonants teams are categorized using title labels. During a lesson, eventually your child will work to writing out dictated spelling words. Your child will visually process them as each spelling word is written down. Again, further in All About Spelling Level 1 you will dictate spelling words to your child. Your child will utilize hands on learning as your child physically writes their dictated spelling words. Your child uses tactile learning while building words with the color coded letter tiles. I personally appreciate how user friendly and open and go All About Spelling Level 1 is for the homeschooling parent. Honestly, I feel like anyone can use it as it literally walks you through each lesson down to how to even phrase concepts to your child so that they can understand. You can tell that the creators at All About Learning Press really understand the benefits of the multisensory approach of the Orton-Gillingham method and have done well to integrate the approach into All About Spelling. It is also a preference of my own to keep all my materials neat and tidy. The All About Spelling curriculum and box containing all of the cards- dividing each type of card into their appropriate category keeps everything well organized. A well organized and sequential curriculum definitely helps to allow lessons to unfold smoothly. If you’re considering All About Spelling, please note it is recommended that your child has first completed All About Reading level one or at least be at that level of reading. You can test where your child is at when you follow the reading level you’re considering on All About Learning’s website. Take a placement test here: AAS placement test. What are your thoughts about All About Spelling?